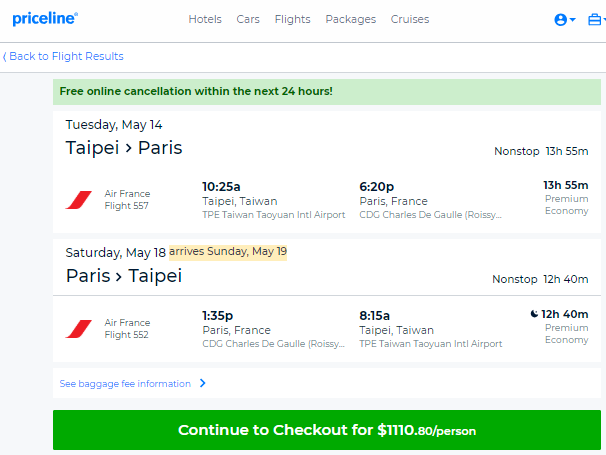 Today’s Airfare of the Day goes to Air France and their basic season premium economy class restricted round trip fares between Taipei and Paris. 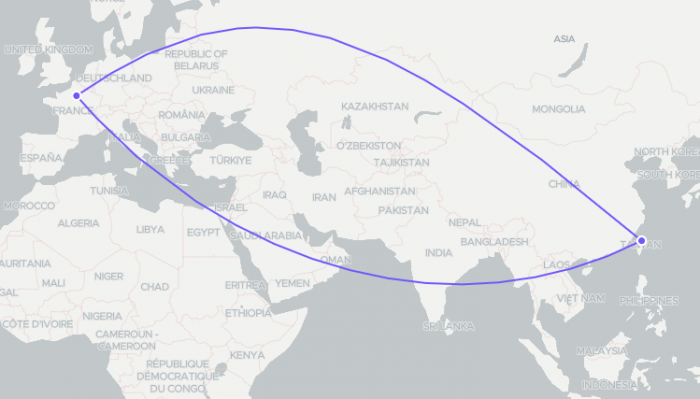 In case you missed it, you can check my review on Air France Premium Economy product here. 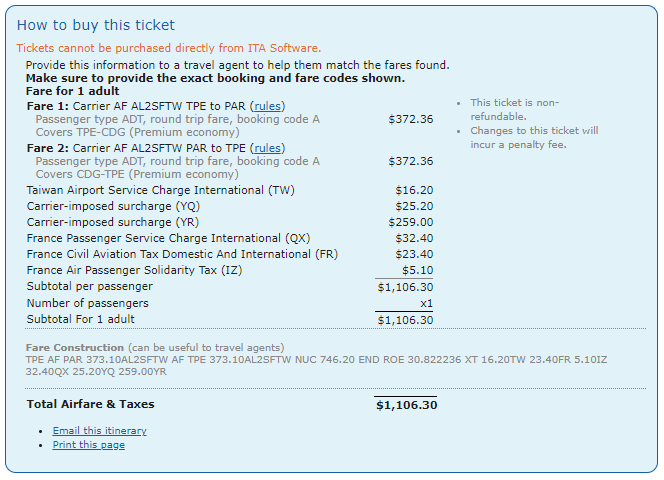 Price: from $1,081 ($744 base fare + taxes & surcharges). Seasonal restrictions: permitted 18AUG through 31JAN or 07FEB through 28JUN on the first international sector. 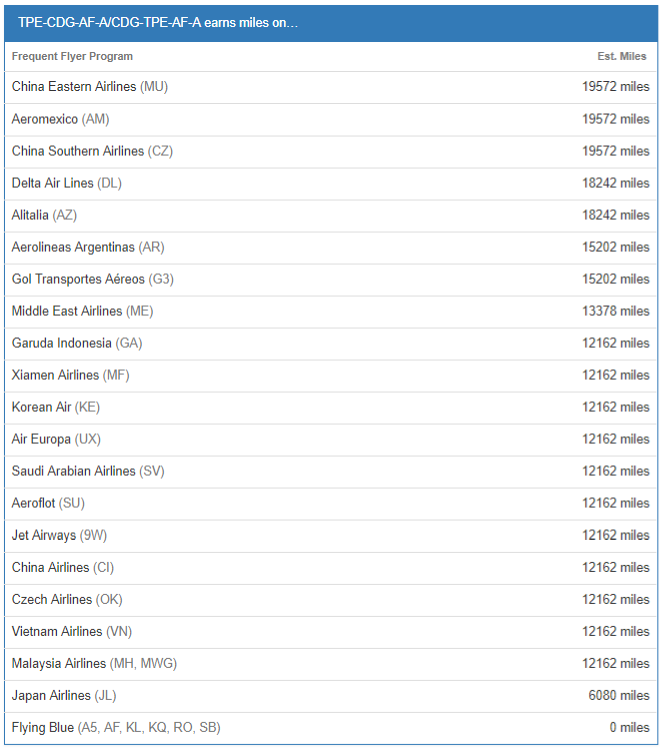 Stopovers: 1 stopover permitted at TWD 3,500 each. Sales restrictions: do not apply. Cancellations: charge 100.00€ for cancel. Changes: charge 50.00€ for reissue/revalidation. 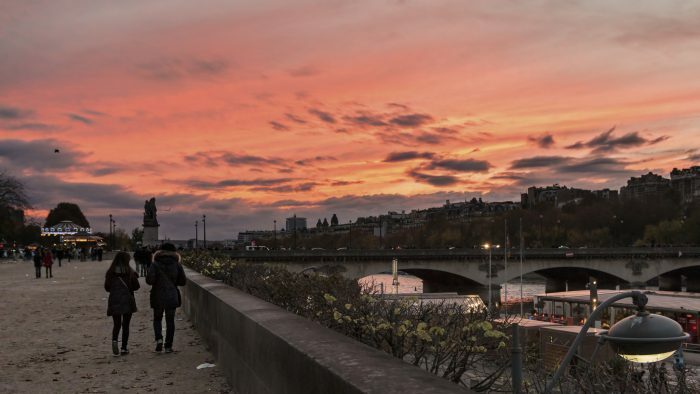 The following accruals were estimated using wheretocredit calculator for TPE-CDG round trip travel on AF marketed and operated flights without considering any elite status bonuses or ongoing promotions.